We are champions. We are Cobras. We are Kalamazoo. Basketball with a purpose. Basketball with a mission. Everyone is welcome in the Cobra community. As Kalamazoo's first minor league basketball team, the Kalamazoo Cobras were introduced in 2015 as the Kalamazoo Pure. 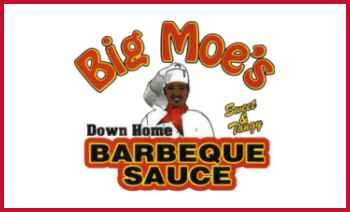 Relaunched and revamped for the 2016 season, they have adopted a new name but remain committed to acting as a positive force in the Kalamazoo and Portage communities. In the team's first season, they began with a 10-0 record and were Power Ranked #1 for three straight weeks for the entire ABA North Central Division Conference Champs. Dedicated to charity work, fundraising and working with local organizations to better their community, the Cobras hail from the area, work in the area and – most importantly – are invested in making the area a caring, forward-looking place to live. 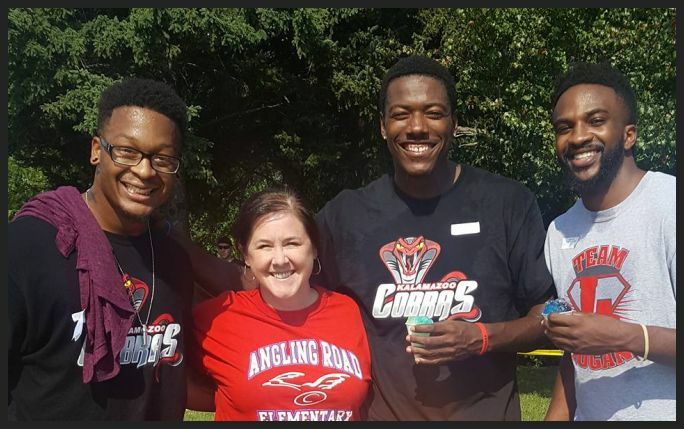 Constantly searching for ways to improve our community, the Kalamazoo Cobras regularly participate in charity fundraisers, minor league basketball games and local events. To learn more about the events that the Cobras have participated in – and those that we plan to attend – we encourage you to visit our news page. Your Kalamazoo Cobras will be defending their home court 18 times this season! Grab your individual game and season tickets now! Your Cobras are working hard to strengthen the community. Not only through elite-level basketball but through spreading love and laughs! 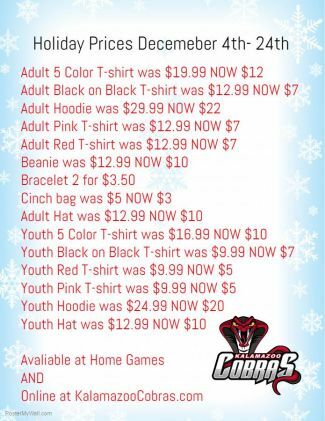 Check out the shop tab now for your chance to buy some Cobra merchandise on sale this holiday season! Hoods up Cobras! December 17th is Faith Night! 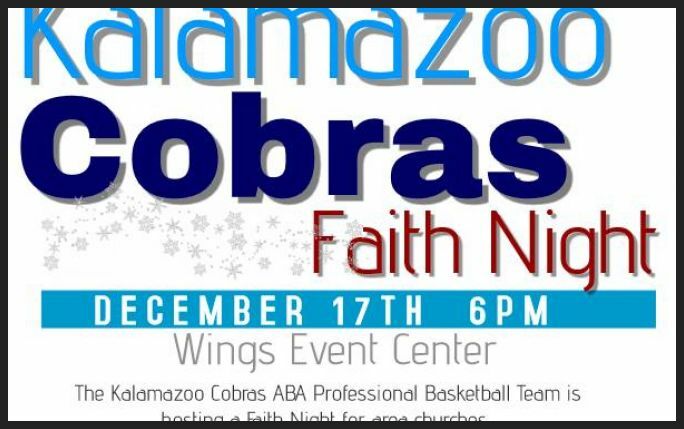 The Kalamazoo Cobras basketball team will be hosting Faith Night for area churches! Tickets are $10 at the door with a special group buy for churches. 10 or more tickets, $5 tickets!